Focus sur les maisons et bâtisses les plus insolites et originales du monde. De Guangzhou au Liban, en passant par l’Angleterre, la France et la Serbie : aux quatre coins du monde, des clients, architectes et créateurs débordent d’imagination pour concevoir des bâtiments qui prennent la forme d’avions, de jungle au sommet d’un gratte-ciel, de pyramide, de maison flottante et de toupies. 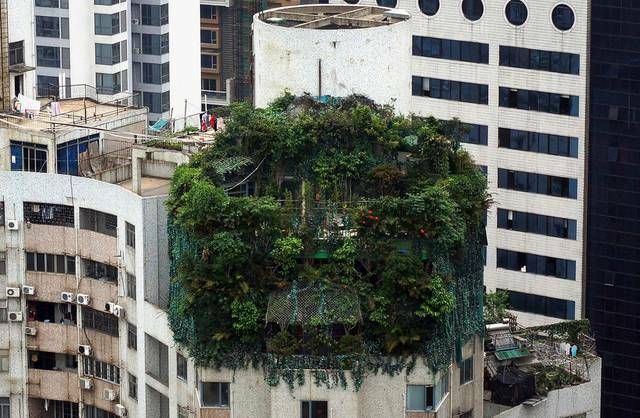 A suspected illegal construction is seen covered by green plants atop a 19-storey residential building in Guangzhou. Photo by Reuters/China Daily. 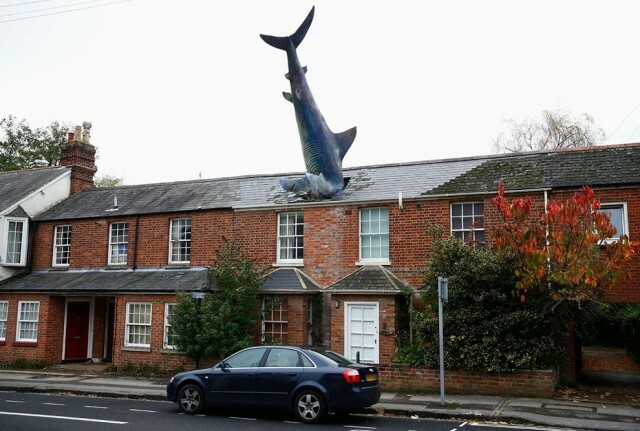 A model of a shark is seen in the roof of a house in Oxford, Britain. Photo by Eddie Keogh/Reuters. 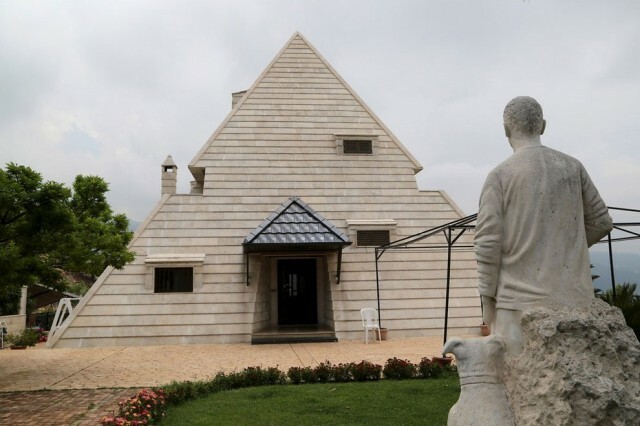 A statue is pictured in front of a pyramid house in the village of Miziara, northern Lebanon. Photo by Aziz Taher/Reuters. 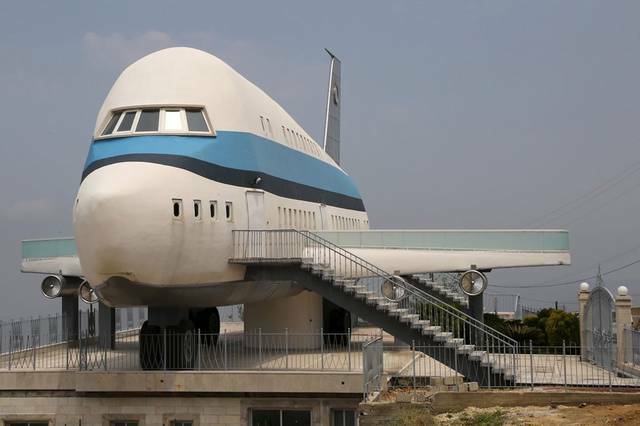 An airplane house is pictured in the village of Miziara, northern Lebanon. Photo by Aziz Taher/Reuters. 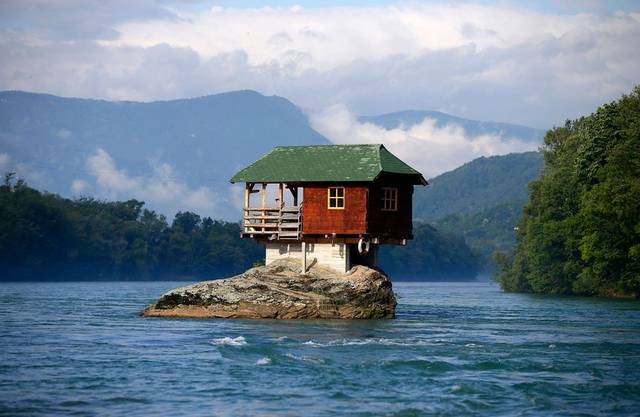 A house built on a rock is seen on the river Drina near Bajina Basta, Serbia. Photo by Marko Djurica/Reuters. 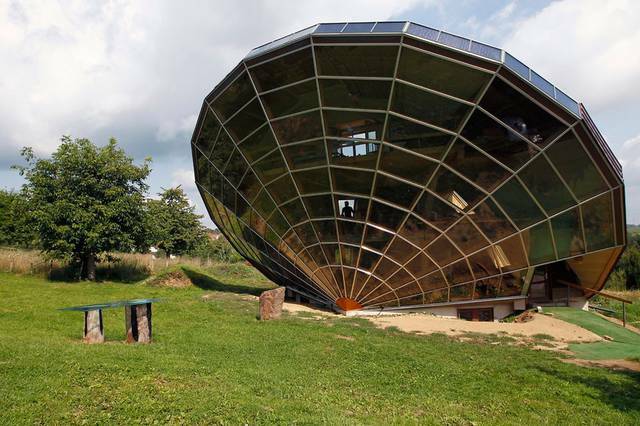 The Heliodome, a bioclimatic solar house is seen in Cosswiller near Strasbourg, eastern France. Photo by Vincent Kessler/Reuters. 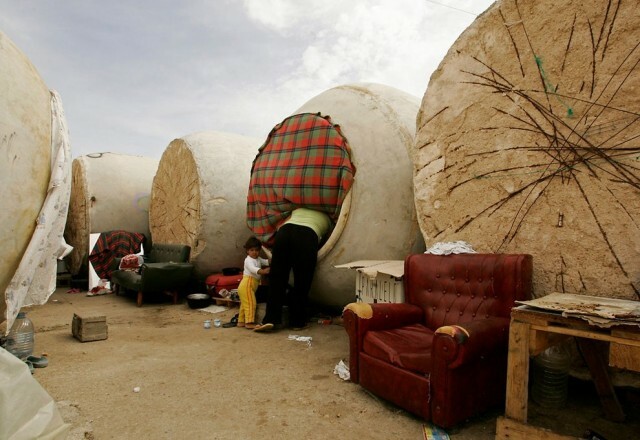 A Bulgarian woman looks inside her wine vat home in Socuellamos, central Spain. Photo by Andrea Comas/Reuters. 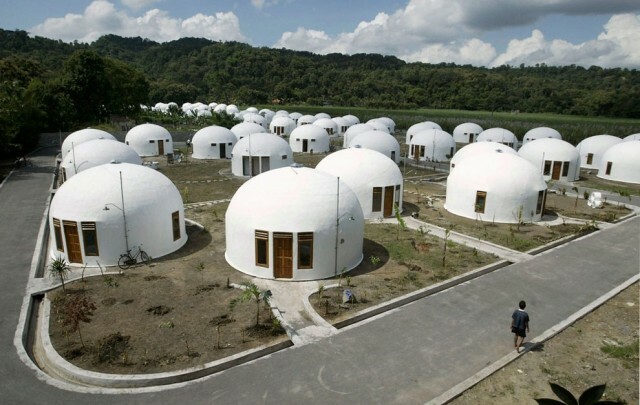 A view of about 70 domes houses, which were built by U.S.-based Domes for the World, for villagers who lost their houses due to an earthquake in Sumberharjo village, near Yogyakarta, Indonesia. Photo by Dwi Oblo/Reuters. 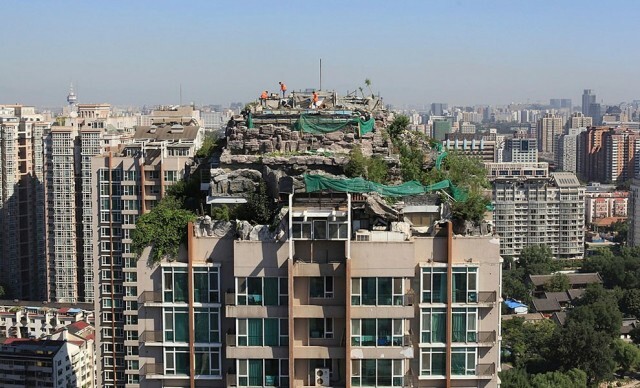 Workers demolish a privately-built villa, surrounded by imitation rocks, on the rooftop of a 26-storey residential building in Beijing, China. Photo by Reuters/Stringer. 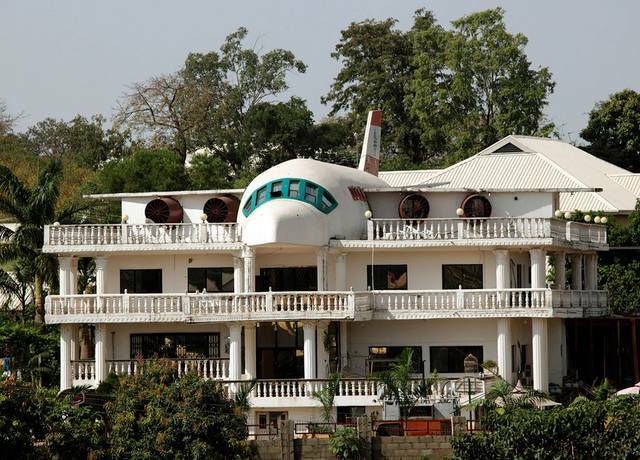 A house partially built in the shape of an airplane is seen in Abuja, Nigeria. Photo by Goran Tomasevic/Reuters.